Does Your Content Strategy Have These 4 Must-Haves? A comprehensive content strategy is the key to customers finding your website and engaging with your content—ultimately leading to better conversion rates. The decision to stay on your website or click away takes only a few seconds. Grabbing someone’s attention in those first moments is crucial, so the elements of your content strategy can make or break your website. The number one aspect of a successful content marketing strategy is (not surprisingly) your content. However, creating engaging content is far more complex than just writing about your product or service in an exciting tone of voice. You must account for search engine optimization, consider the trend toward personalized content, and focus almost entirely on user engagement. If customers can’t engage with your content, they’ll click away. Mastering content writing comes down to focusing on material that benefits readers. 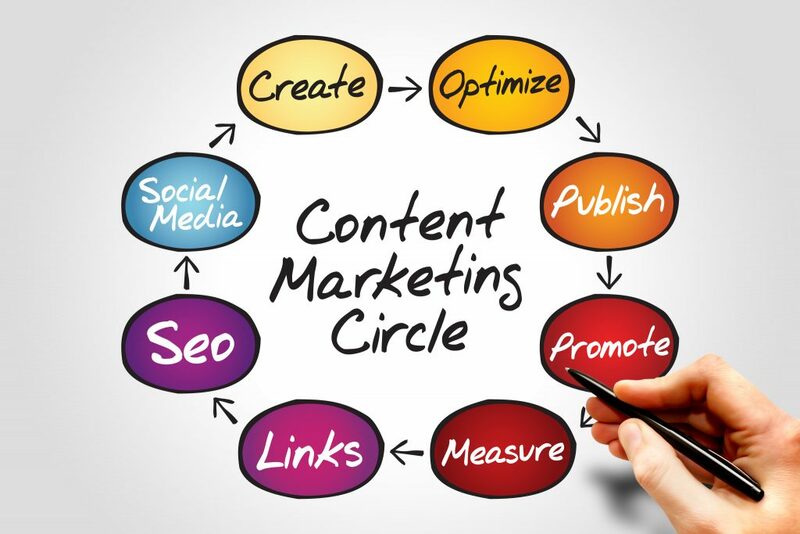 Your strategy must concentrate entirely on providing content your customers will want to read. This can take the form of an interesting blog, problem-solving or how-to articles, or a post with images or video. Mobile users—who now make up the majority of all website users—are beginning to prefer video content to written content. Keeping up with modern trends to answer consumer demands is crucial to creating killer material. To start, you must first understand your Ideal Clent. Content marketing is no longer about selling your product or service. It’s about entertaining and educating your readers and giving them relevant information that shows the value of your company. To remain competitive in your industry, you must know your audience inside and out. This means understanding their habits, trends, interests, and expectations. Knowing what they need from you is the best way to hook your readers and achieve conversions. Your website must fill a gap in your industry and provide something other websites don’t offer. Find out which social media outlets your audience uses the most. If you appeal to the under 30 crowd, they’re most likely on Instagram or Twitter. Older groups trend more toward Facebook. Make your content shareable on your target audience’s preferred social media site. Tracking their trends and interests will ensure your business stays relevant. User experience design (UX) refers to the analytical and technical aspects of the user design process. User interface design (UI) refers to graphic design—although the demands are more complex. Developing a firm handle on both UX and UI is essential to creating a successful website. UX and UI work together to create an engaging, easy-to-use platform. UX design’s goal is to boost customer satisfaction by enhancing the usability and pleasure your page provides. It focuses on the customer-website interaction. For example, the latest UX trend is to place a greater emphasis on creating a personalized user experience, highlighting customization. Indeed, the customer is now a vital part of the branding experience. The content you create must be as personalized to your audience as possible. UI strives to create an attractive, appealing website for users. Creating a page that encourages customer interaction (such as one with responsive design) immerses your audience and makes for an all-around more enjoyable experience. Your UI strategy should also guide users seamlessly through your website, encouraging them to stay on the page and explore. Your content marketing strategy isn’t complete without taking steps toward top-quality branding. An effective branding strategy will give you an edge over competition and leave a positive impression on customers. Branding tells your consumers what to expect from your business and what sets you apart from others. It should give your company value. For example, if your enterprise is the experienced, high-quality alternative in your industry, this is what your brand should convey. You can’t be all things to all people—and you wouldn’t want to be. Today’s content marketing centers on offering one thing better than the competition. Customers want a company that excels in niche areas of business. Take Uber, for example. Its brand promotes a cheaper, more easily available alternative to taxis. They chose one area of that industry and mastered it. Similarly, your website, packaging, logo, and promotional materials should communicate your brand effectively and let customers know what they can expect. All in all, your content marketing strategy needs to target what moves your company forward: customers—the lifeblood of any business. If your website keeps readers engaged with relevant material and effective website design trends, your business will stay ahead of the competition.